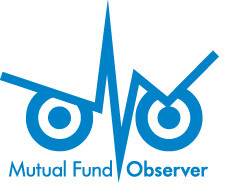 This entry was posted in Launch Alert, Mutual Fund Commentary on March 1, 2019 by Dennis Baran. The managers seek long-term capital appreciation by investing in a concentrated portfolio of 30-40 mid and large capitalization companies over $2.0B that use sustainable business strategies (SBA) to drive future earnings growth. This entry was posted in Funds, Stars in the shadows on November 2, 2018 by Dennis Baran. On September 12, 2017, American Beacon launched two funds using Shapiro Capital Management, an institutional, value-oriented firm, as its sub-advisor. This alert focuses on the Equity Opportunities Fund, its all-cap value product. The SMID fund applies the same strategy in the mid cap space. This entry was posted in Launch Alert, Mutual Fund Commentary on November 1, 2017 by Dennis Baran.